Paramount Turns 100 - Gives Away Trips to Anywhere in the Continental U.S.
Every month Paramount will be giving away a trip to a destination of your choosing via their Facebook sweepstakes. 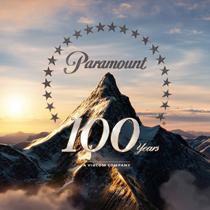 Paramount turns 100 this year and they're geared up to celebrate. In addition to the first time releases of classic movies on Blu-ray, the studio will be giving you a chance to win a trip to any U.S. destination of your choosing except Alaska and Hawaii - the freak states. In addition to round trip airfare, you'll get three nights hotel stay wherever you end up. There aren't any limits on where you can travel, but the folks at Paramount suggest somewhere with a movie theme, maybe even a Paramount movie.